Is sugar really that bad? Will a passion for passionfruit really make you fat? Before you throw the fruit bowl out the window, let’s go take a look. Not so long ago, fat was the dietary super-villain. Fat, we were told, caused obesity, heart disease, high blood pressure, high cholesterol – practically anything terrifying and bad for your health was linked to fat. In response, we flocked to supermarkets to buy low-fat everything; milk, cheese, yoghurt, salad dressing, even cereal. However, the risk of these diseases kept increasing – and obesity worldwide continued to balloon (pun-intended). Then scientists started to understand the role of fat a bit better and they started to get a wider picture on the interaction between diet and disease. Either way, the tables have turned and now sugar has the spotlight. As lots of us have begun to raise concerns about high-sugar intakes, the rise of social media has provided the arena in which to do it. 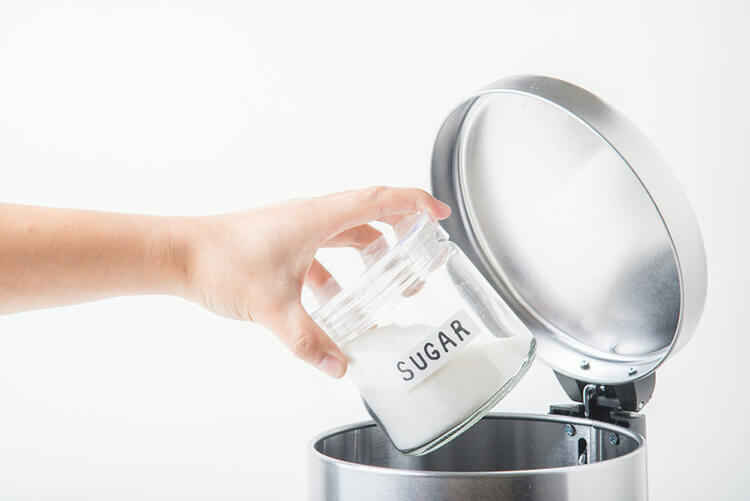 More often than not, our feeds are full of folk spouting pseudoscience about how sugar is ‘toxic’, why they have gone ‘keto/paleo/vegan/zone’ (delete as appropriate) or why you should detox from your sugar diet with their new detox product. So, we know that sugar is really bad for us and that we should probably go sugar-free. Is everything we hear about sugar accurate? Is it really that bad? You’re about to find out. 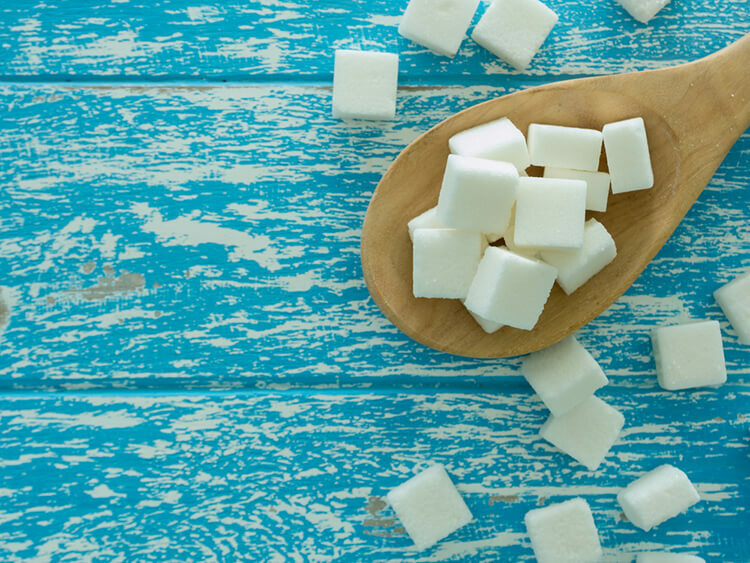 Here are seven outrageous sugar myths – and the real science behind them. This one is still being ‘debated’ by some scientists. And the argument is based on some basic physiology, involving the hormone insulin. Insulin is released after we eat carbohydrates, and it regulates blood sugar by allowing it to be stored in your liver, muscle and fat cells. 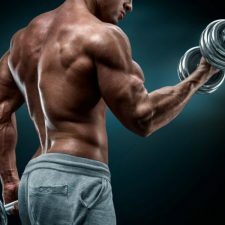 It also hinders fat burn (breakdown of fat) and encourages fat storage. 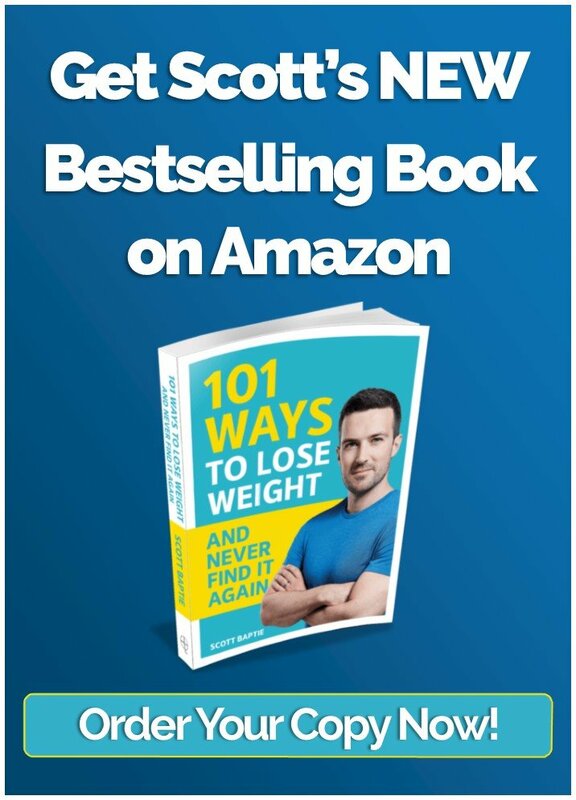 The logic is that if sugar increases insulin, insulin stops fat breakdown AND stimulates fat gain, this will increase body fat and lead to obesity. Insulin is only increased in response to a meal. The changes in fat burn and fat gain only happen in the hours after a meal. In between meals, and when we’re asleep, fat breakdown exceeds fat storage. In other words, we’re burning fat while we sleep – bet you like the sound of that. Over 24 hours, this evens out. If you’re in a calorific deficit, you’ll lose weight – regardless of sugar intake. This has been shown in multiple weight loss studies. One study compared two groups that ate/drank either 5% or 10% of their daily calories in sugar. Bingo – both groups lost weight, with no difference between the two. These results provide no justification for the exclusion of added sucrose in a weight-reducing diet. Another study looked at four groups, who ate/drank 10% or 20% of their daily calories in sugar (either sucrose or high-fructose corn syrup). In conclusion, similar decreases in weight and indices of adiposity are observed when overweight or obese individuals are subjected to hypo-caloric diets with different prescribed levels of sucrose or high-fructose corn syrup. A further study showed sugar had no effect on over 300 participants when calories, protein and fibre were the same. As if this wasn’t enough evidence, how about this – I’ve saved the best until last. Two diets comparing getting 4% of energy from sugar vs. 43% (11.8g vs 121.2g) found NO DIFFERENCE IN WEIGHT LOSS. Regardless of sugar intake, diets that allow for a calorific deficit (expending more energy than we take in) will result in weight loss. Type-2 Diabetes is a disease that leads to someone’s blood sugar being too high for a long period of time. It can have serious consequences, including blindness, kidney failure, lower limb amputations and cardiovascular disease. Now, as the disease is predominantly focused on high-blood sugar, a common belief is that diabetes is caused by high sugar intake. In reality, it’s much more complicated than that. Insulin allows sugar (glucose) to enter your liver, muscle and fat cells. High blood sugar in diabetes is due to a lack of, or decreased function of the hormone insulin. Obesity is often associated with diabetes, with 90% of Type-2 Diabetics also reported to be obese. Obesity makes the body less sensitive to insulin and makes it difficult for the body to regulate blood glucose. Not exercising is also a risk factor for diabetes – 80% of blood glucose is absorbed by our muscles. So if we’re not working out in some way, which helps to maintain and grow muscle, there is nowhere to store blood glucose. It remains in the blood and can cause various health problems. 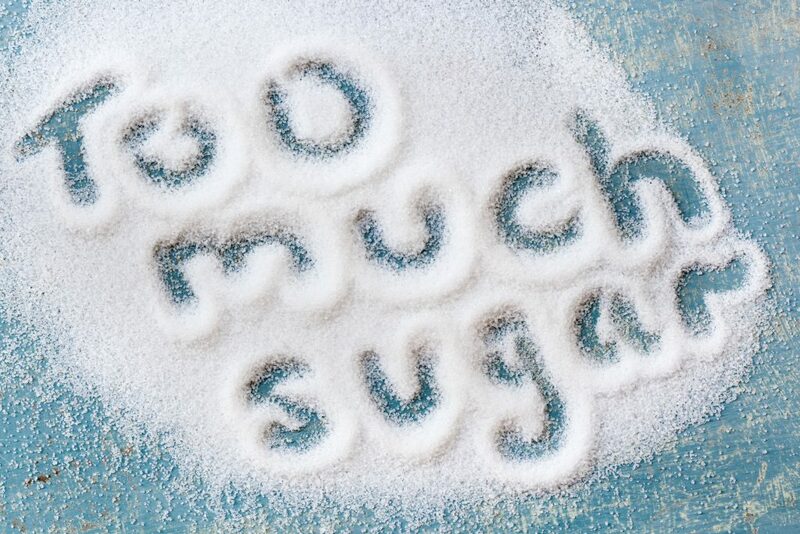 Research suggests that sugar consumption alone isn’t a risk factor for diabetes. A study on 355 overweight and obese individuals showed no difference in diabetes risk factors when consuming either 8%, 18% or 30% of their calories in added sugar. This was supported by a study showing no difference in diabetes risk when comparing getting 9% and 18% of daily calories from sugar. 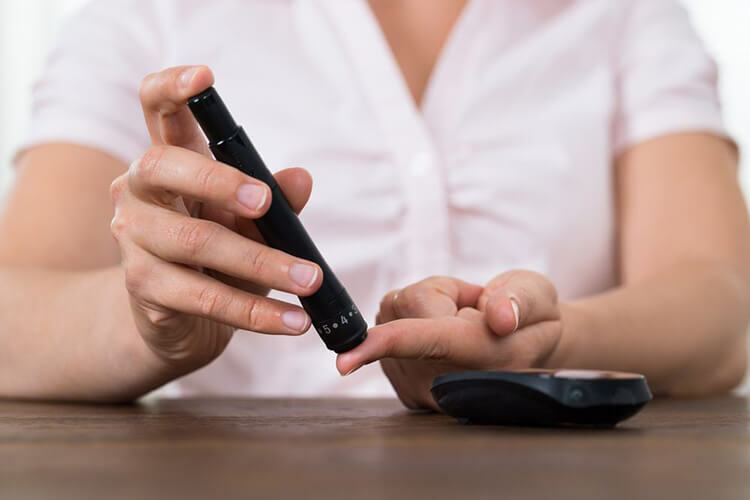 Diabetes is a complex disease, and is affected by several risk factors. Sugar alone does not cause diabetes (or obesity, as mentioned above), and so isn’t a direct cause of diabetes. However, if eating too much sugar leads to a calorific surplus, long-term weight gain and obesity, then it might have an indirect effect on the risk of diabetes. This is a really popular belief that lacks the evidence to support it. An analysis in 1995 looked at 23 studies on sugar and hyperactivity in children. Studies were only included in the analysis if the amount of sugar was measured, and if parents, children and the researchers were unaware of whether the children had been given sugar or not. Contrary to popular belief, the study showed that sugar intake did not have any effect on behaviour or cognition in children. This may be due to the belief of parents. When parents were told that their child had been given a large dose of sugar, they rated them as significantly more hyperactive than if they were told they’d been given a placebo (a non-sugar drink). None of the children received a sugary drink – they were all given the placebo. Despite none of the children being given sugar, mothers who believed their children had been given sugar rated them as significantly more hyperactive. The link between sugar and hyperactivity may be more to do with mum’s expectations and beliefs than changes in their kid’s behaviour. On top of this, children often stuff their faces full of sugary things at birthday parties and special occasions. What do you get at those sorts of events? Excitement, being around friends, new environments – perhaps those might lead to hyperactivity, rather than sugar intake itself. One factor is rodent studies showing possible addictive behaviour towards sugar. The second is people attempting to shift the blame for their weight gain. 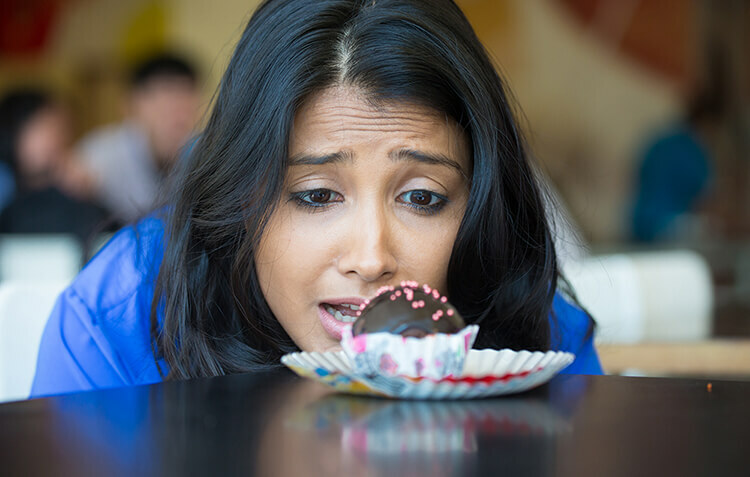 Those that argue for the existence of sugar addiction usually point to a study in rats, where cocaine increased levels of dopamine, a hormone involved in feelings of reward, to similar levels seen in food reward. A review study stated that when rats (selected to have a preference for sugar) were denied sugar for 12-16 hours, and were then given full access to sugar for 8-12 hours, they DID produce bingeing behaviour indicating addiction. When rats are given ad libitum (as much as desired) access to sugar (like normal conditions for humans), they show NO SIGNS of addiction. Other research indicates we aren’t addicted to sugar. If a substance is added to addictive drugs to make a rat sick, it will still seek out the drug, even though it makes them sick. Do they do same with sugar? We don’t overeat because the food is sugar. We overeat because IT TASTES NICE. They’re a (very tasty) combination of sugar AND fat, that make our food hyper-palatable (food tastes really bloody good). For years, we’ve been told how important it is for us to eat five portions of fruit and veg per day. And, more recently, we’ve been told that this number should actually be 7 – or maybe even 10! Despite this message, there has been some backlash from some about these recommendations, particularly the role of fruit. Fruit contains sugar (fructose) and, as many people now believe sugar to be the devil incarnate (see above for details), it was only a matter of time before the low-carb diet clan went after health professionals everywhere for recommending fruit as a healthy option. So, we should avoid fruit because it has sugar in and will make us fat. Fruit is a valuable part of our diets for several reasons. Eating more fruit has been associated with lower risk of death from any causes, including cardiovascular disease and cancer. Also, despite being high in sugar, fruit IMPROVES insulin response and blood glucose control in obese men and women, particularly when you eat mangos and blueberries. Scientists think this is because of certain phytochemicals in fruit, which help to regulate how we digest carbohydrates, and control our blood glucose. 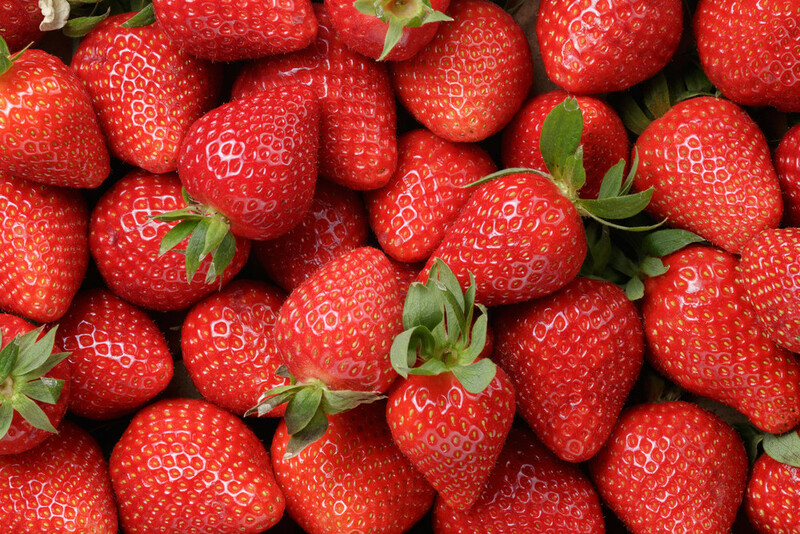 Finally, eating fruit has repeatedly been shown to improve body weight and protect against obesity. Something that the sugar-free mob will often try and push is a link between sugar and cancer. A quick Google search will come up with reams of information, informing you that sugar is ‘food for cancerous cells’, ‘cancer’s dinner’ etc, etc. The logic for this is simple. Cancer cells are fairly energy-demanding, as they grow and multiply rapidly. Therefore, they need (amongst other things) a fair amount of glucose. The reasoning is if we cut off the supply of glucose to the cells, then we stop them growing or developing. However, glucose is also used by healthy cells, with no real way of differentiating which cells get the fuel and which don’t. Cutting out a whole food group, such as carbohydrates, can also reduce the quantity of fibre and vitamins from the diet. Poor nutrition from restrictive diets could contribute to weight loss, which is often seen during cancer treatment, and restricting the diet could affect recovery. Cancer risk is determined by a variety of factors including environment, lifestyle and genetics. 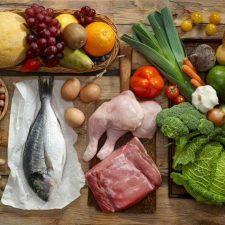 Poor diet and lifestyle choices certainly play a part in cancer risk – the World Cancer Research Fund estimates that 33% of common cancers could be prevented through lifestyle changes, like working out and maintaining a healthy weight. 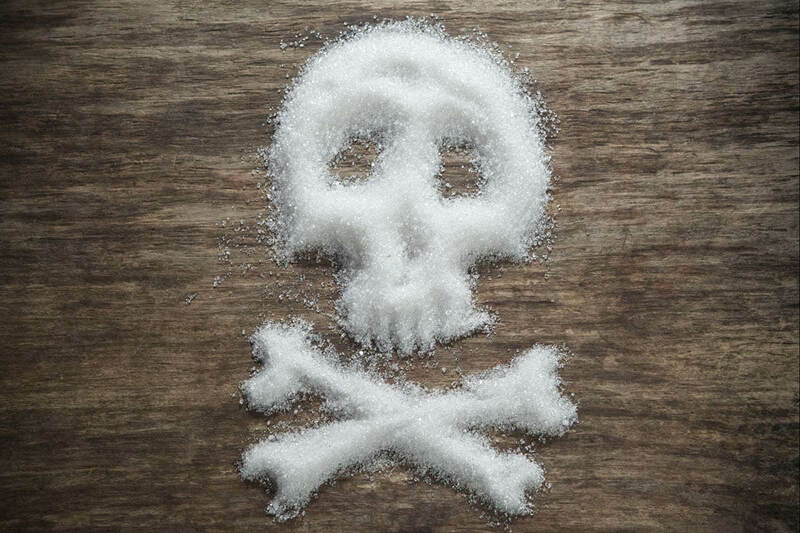 Hopefully, all of the myths that have been dispelled up here will give you an idea of why sugar isn’t necessarily the cause of all pain, suffering and misery experienced by the human race. 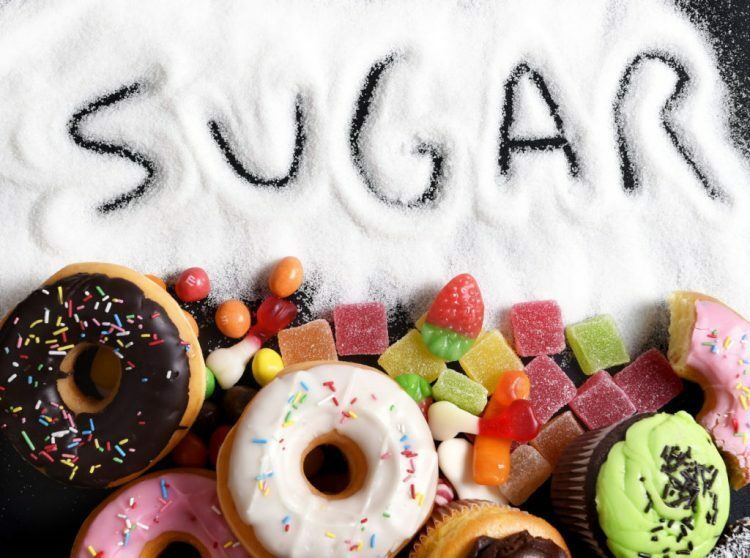 It’s worth noting that some people DO eat too much sugar, and it would probably be prudent for them to decrease their sugar intake slightly. 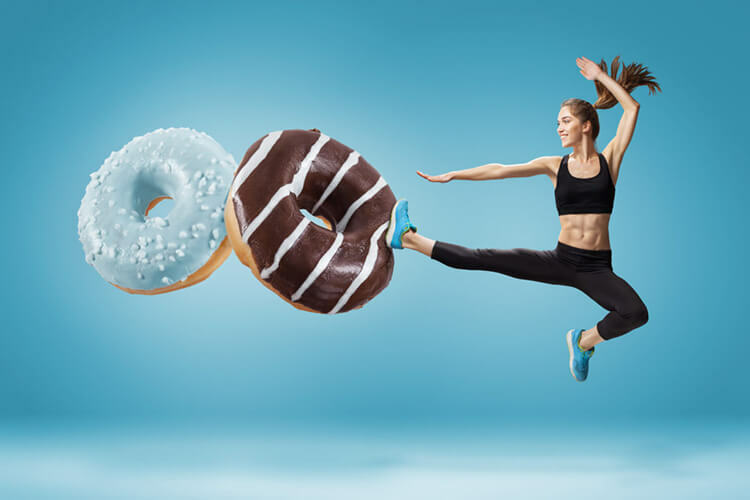 But the bottom line is if you are not in a calorie surplus (eating more calories than you burn), then your sugar intake isn’t likely to be too much concern. That’s providing you’re nailing other important dietary habits like eating enough protein and getting at least five portions of fruit and veg per day. If you’re nailing eight Mars bars a day and nothing else, well, take a look at yourself. If you do find yourself putting on weight and your snacks are high in sugar, reducing said sugar might be a good place to start. I say might. 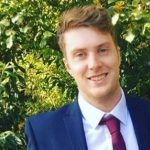 Charlie is the owner of CB Nutrition, and a nutritionist with an MSc in Sport and Exercise Nutrition from Loughborough University. He has worked with athletes in a variety of different sports, as well as people looking to lose weight, build muscle or just optimise their health. At Food For Fitness we’ll show you how you can lose weight without the suffering, punishing fitness regimes or extreme diets! 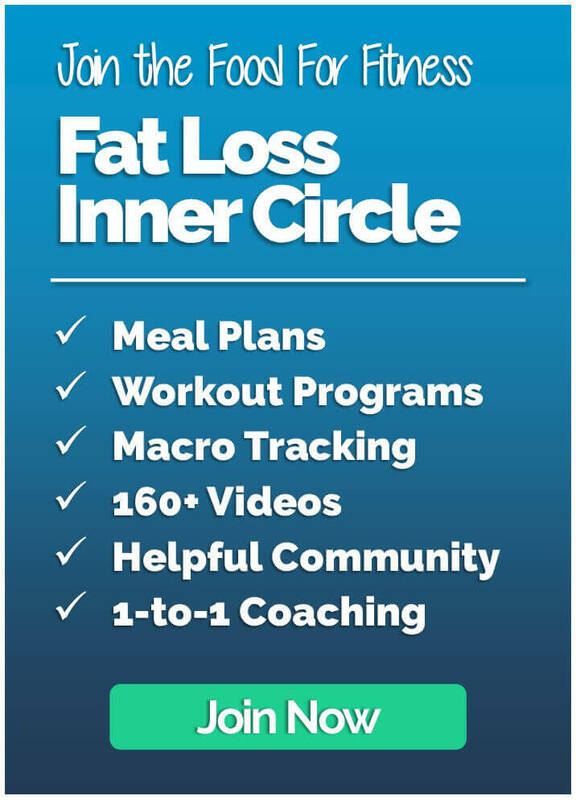 Discover healthy recipes, weight loss advice, exercise tips, nutrition guides and more. Get in touch with us via our contact form for more information about Food For Fitness and how to get started with a nutrition plan designed for your lifestyle.